You don't know the research. It shows that they are. 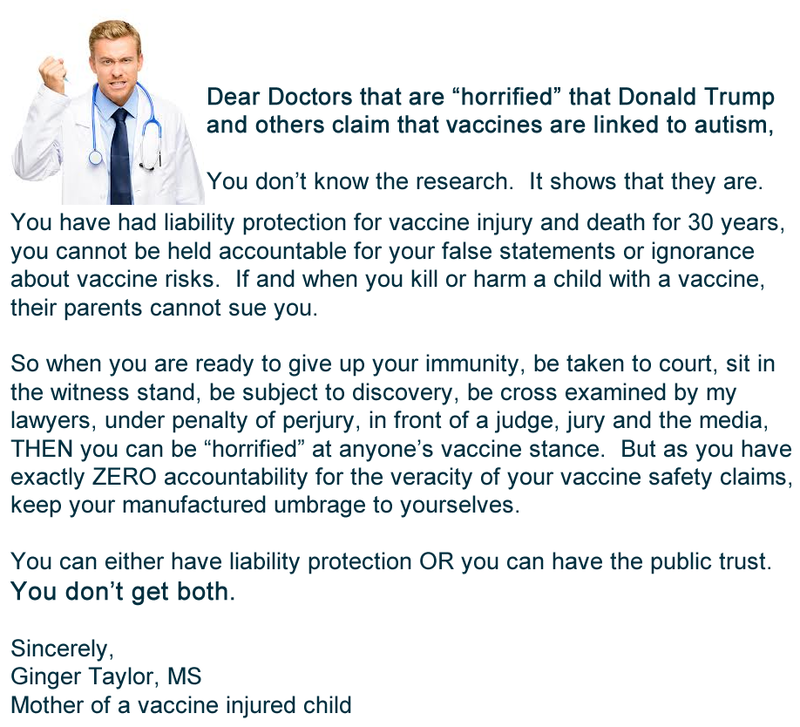 You have had liability protection for vaccine injury and death for 30 years, you cannot be held accountable for your false statements or ignorance about vaccine risks. If and when you kill or harm a child with a vaccine, their parents cannot sue you. 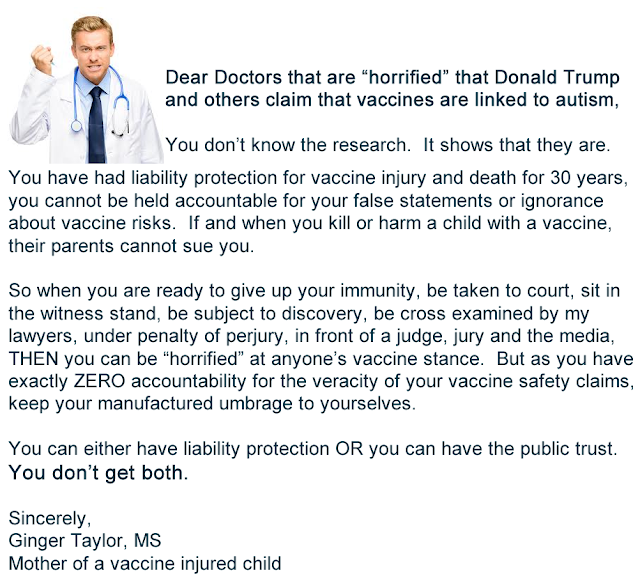 So when you are ready to give up your immunity, be taken to court, sit in the witness stand, be subject to discovery, be cross examined by my lawyers, under penalty of perjury, in front of a judge, jury and the media, THEN you can be “horrified” at anyone’s vaccine stance. But as you have exactly ZERO accountability for the veracity of your vaccine safety claims, keep your manufactured umbrage to yourselves. You can either have liability protection OR you can have the public trust.